We had another grand review of our Corps, the 13th, today. We had one a week ago today. I tell you it is a nice sight to see some 20,000 or 25,000 men dressed in full uniform and with glittering bayonets standing in a large level field for review. We were reviewed by Gen. Banks both today and last Saturday. We were drawn up in Column of divisions. Gen. Washburne's division (ours) formed the first line. Gen. Herron placed his division in line some twenty yards behind us. 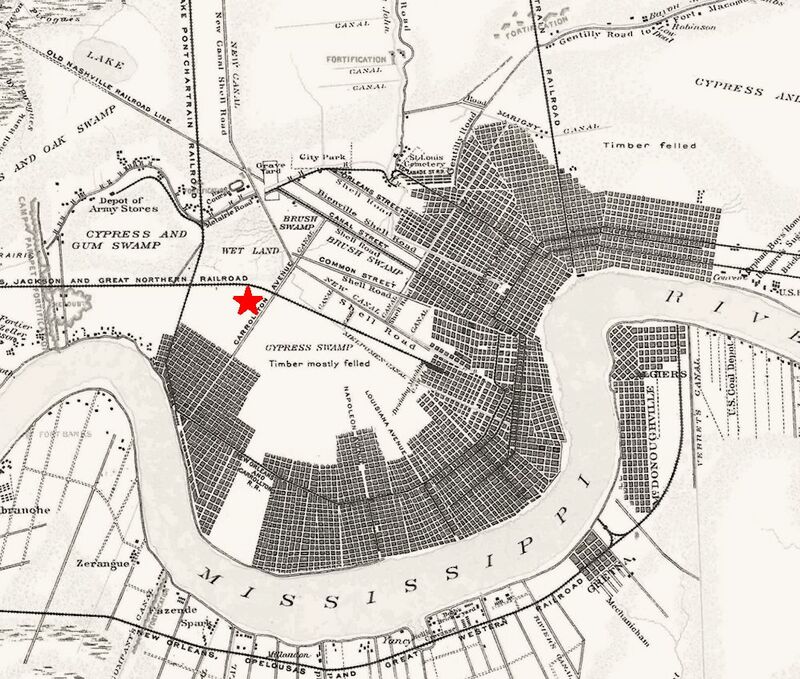 The third and fourth divisions were formed in like manner behind Gen. Herron's division and the artillery formed a line in rear of the fourth division. We did not have long to wait before the boom of a cannon announced the arrival of Gen. Banks. The band struck up and soon the Hero of Port Hudson came sweeping down the line, followed by Gen. Washbourne and a host of other officers, doffing his hat and shaking his little head as he passes the colors of the various regiments and receives their salutes. After riding up and down each of the lines he took his position off to one side and then commenced the great review march, the entire force marching by him in Column of Companies the music of each regiment filing out of line as they came opposite the General and then falling in behind the regiment when it passed and marching off to camp. 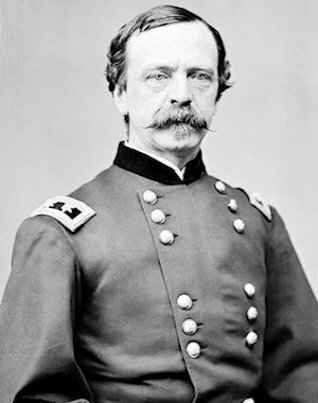 Again, on the 29th, Gen. Daniel E. Sickles reviewed us. This noble soldier had lost a leg at Gettysburg a little over two months before. At present he was doing the duties of Inspector General. His figure was wasted and his face looked pale but the fire of his eye was undimmed. A mounted orderly carried the General's crutches during the review. Thousands of spectators from the city came up to witness the military pageant. 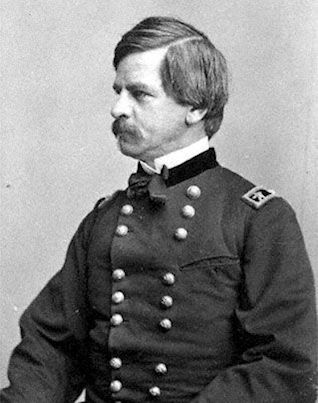 It is interesting to note that Gen. Sickles had been commander of an army Corps at Gettysburg, just eight weeks earlier, and, acting against orders from his superiors, got his troops badly beaten and actually risked the entire outcome of the battle. Sickles did, indeed, lose his leg at Gettysburg, probably the only reason he was not court-martialed for his insubordination. Sickles was, apparently, made Inspector General, but did not again command troops in the field during the war.